jmarcinkowski2218Jim Marcinkowski - Inlanta Mortgage, Inc. | Jim Marcinkowski - Inlanta Mortgage, Inc.
Are you considering purchasing a new construction home? Homebuilder sentiment rises as interest rates stay in check. Nothing new; yesterday the bond and mortgage markets improved, the 10 yr -6 bps to 2.41%, MBS prices +36 bps. This morning once again no follow-through as has been the case for weeks now. Yesterday the dollar under pressure, stock indexes a little weaker and news that hedge funds were lightening up on the bets f higher rates while money managers were buying 5s to balance their portfolios that are heavy with stocks. Trump backed away from the TPP trade pact and met with business and union leaders; this morning he is meeting auto executives he wants autos sold in the US to be made in the US. A very high hurdle but you can’t get anything unless you ask. Also, today Trump intends to sign two executive actions that would advance construction of the Keystone XL and Dakota Access pipelines. He wants more oil companies to have more freedom to expand infrastructure and transportation efficiency. In the UK its Supreme Court ruled that the government must bring the Brexit to a vote in parliament before it can trigger Article 50 of the EU charter. Theresa May though said she will go forward to trigger the exit in March sticking with her plan. Ministers could bring forward an Article 50 bill as early as Wednesday, with an accelerated passage through both houses of parliament in a bid to meet the prime minister’s deadline for initiating the Brexit process. The consensus is that parliament will vote to continue the process. At 9:45 AM EST this morning the FLASH PMI manufacturing index; 55.1 from 54.2. The Philly Fed was very strong and so is the manufacturing PMI at 55.1 for the flash January score, up 8 tenths from final December (up 9 tenths from the December flash) and the strongest reading since March 2015. Production is also as strong as it’s been since March 2015 while growth in new orders is the best since November 2014. At 10:00 Dec existing home sales were thought to be down 2.3% to 5.538M. Sales were down 2.8% to 5.49M, Nov sales were revised better to 5.65M from 5.61M. Yr/yr sales up 0.7% after increasing 15.4% yr/yr based on Nov data. Median sales price $232,200 up 4.0% yr/yr. Prices over the last five years up 41%, inventories in Dec the lowest since 1999. This afternoon Treasury will auction $26B of 2 yr notes at 1:00 pm. Nothing else scheduled today, news from the White House and more confirmation hearings in the Senate. Trump intends to keep FBI Director James Comey in his post, the New York Times reported on Tuesday, as the bureau continues its investigation into potential ties between Trump aides and the Russian government. The stock market a little better in early trade but looks heavy so far. The dollar better today after weakness yesterday. Two elements that are presently leaning against the interest rate markets. Interest rates remain in a tight range with an overlay of bearishness on the continuing belief the Fed will hold to its three rate hikes this year. Last week Yellen said the increases would be “gradual”; gradual does suggest a hike in March if the Fed does move three times this year. The FOMC meets about every six weeks so if it going to be gradual it must start soon or getting three in before year end would imply quick moves later this year. All that said, the Fed talks the talk but for three years hasn’t been able to walk the walk. At 10:00 MBS prices lower by 6 bps from 9:30. Technicals (market action) still neutral. The outlook now is for higher rates but it isn’t happening yet. Mortgage rates in a narrow range, the treasury complex also chopping with no immediate trend. Stock markets and currency markets will dictate where rate markets trade today. Three weeks of no significant change in mortgage rates or the bellwether 10 yr note. Take a look at the Daily Mortgage Market Overview. Conventional and Government (FHA and VA) lenders set their rates based on the pricing of Mortgage-Backed Securities (MBS) which are traded in real time, all day in the bond market. This means rates or loan fees (mortgage pricing) moves throughout the day, being affected by a variety of economic or political events. When MBS pricing goes up, mortgage rates or pricing generally goes down. When they fall, mortgage pricing goes up. 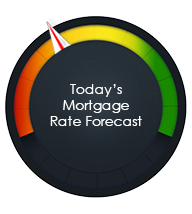 Mortgage rates are moving sideways to slightly higher so far today. The MBS market improved by +35 bps yesterday. This was enough to improve mortgage rates or fees. 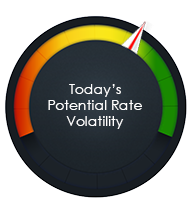 The market experienced moderate volatility yesterday. Domestic: There are no domestic events today. Germany (# 4 economy): Still recovering from their latest terrorist attack, this morning we got their PPI which was much stronger than expected. Their MOM Producer Price Index gained 0.3% vs est of only 0.1%. And YOY it was up 0.1% vs est of a decline of -0.2%. Japan (# 3 economy): The Bank of Japan left their key interest rate alone. In a 7 to 2 vote, they left all their key asset purchase levels and policies alone. But they did upgrade their economic outlook for Japan which some are considering a “back door” form of tightening. China: Handed over our lost naval drone. Since there isn’t economic news due out today, we’re not looking for much movement in mortgage rates. The only thing that is likely to move mortgage rates today is a surprising geo-political event. If you are looking for the risks and benefits of locking your interest rate in today or floating your loan rate, contact your mortgage professional to discuss it with them. Jim Marcinkowski joined the U.S. Army at the age of 17. While in the military, he moved my way up through the ranks to become a Staff Sergeant and Team Leader of a Bomb Squad. He participated in Desert Shield and Storm. This is where he acquired leadership and management skills. Upon leaving the military, he took a position as Manager of Administrative Services of a non-profit corporation. Jim was responsible for Human Resources and Fiscal accountability of approximately three million dollars in Federal, State, and local grants. 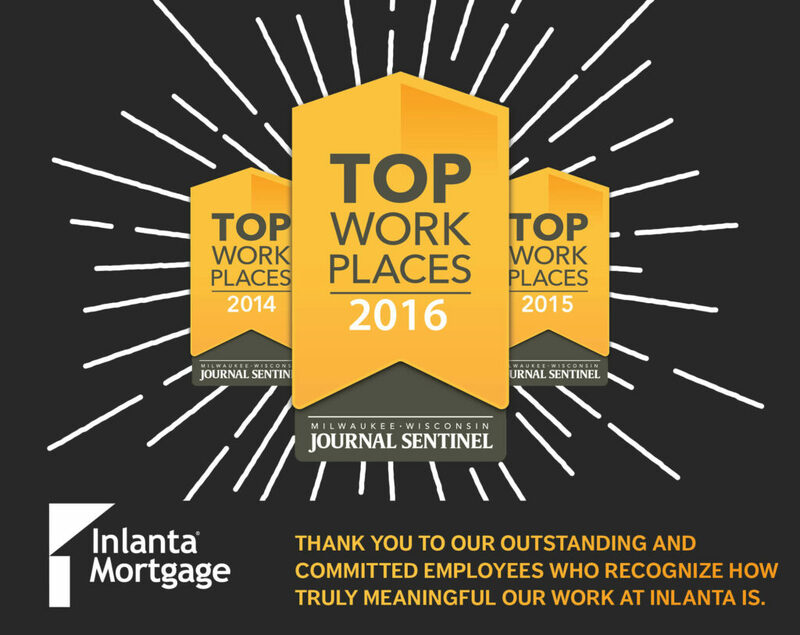 This is some of the experience Jim brings to the mortgage business. He is committed to helping clients make the most educated and best financial mortgage decisions. 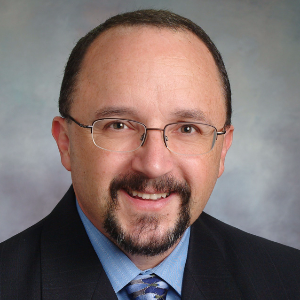 Jim enjoys helping clients meet their housing goals, needs, desires and investment needs. All information furnished has been forwarded to you and is provided by thetbwsgroup only for informational purposes. Forecasting shall be considered as events which may be expected but not guaranteed. Neither the forwarding party and/or company nor thetbwsgroup assume any responsibility to any person who relies on information or forecasting contained in this report and disclaims all liability in respect to decisions or actions, or lack thereof based on any or all of the contents of this report. After this fixed period, the rate can fluctuate. The rate itself is made up of both fixed- and variable-rate components. The variable component will be based on some index such as Treasury bonds. This is added to the fixed-rate component set by the lender when you determine your starting rate. Lenders give you a discounted rate up front because they know the rate will float with the market later on. If you sell your home or refinance again prior to that happening, it’s their loss. You have the advantage here because you control the timing of your next step. One way to prepare for the possibility of a higher rate and payment later is to pay extra principal each month to reduce your balance faster. If the rate ultimately adjusts up, your balance will be lower and the payment change will be less as a result. As well, you would already be accustomed to paying more. Both the upfront guarantee fee and annual fee (collectively the “fee schedule”) for purchase and refinance using USDA Rural Development’s home loan program will decrease on October 1, 2016, the first day of fiscal year 2017. The upfront guarantee fee will drop from 2.75% to 1%, and the annual fee from 0.5% to 0.35%. This could possibly mean more buying power! Income limits and credit approval will apply, but this could be a wonderful opportunity for anyone you know considering buying a home in an approved rural area. THE WREATH is symbolic of the achievements and laurels gained by minimizing accident potentials, through the ingenuity and devotion to duty of its members. It is in memory of the EOD personnel who have given their lives while performing EOD duties. THE BOMB was copied from the design of the World War II Bomb Disposal Badge; the bomb represents the historic and major objective of the EOD attack, the unexploded bomb. The three fins represent the major areas of nuclear, conventional, and chemical/biological warfare. THE LIGHTNING BOLTS symbolize the potential destructive power of the bomb and the courage and professionalism of EOD personnel in their endeavors to reduce hazards as well as to render explosive ordnance harmless. THE SHIELD represents the EOD mission which is to protect personnel and property in the immediate area from an inadvertent detonation of hazardous ordnance. Bomb disposal in the United States dates back to April of 1941. EOD developed as an outgrowth of the British experience with German ordnance. The Unites States was not yet at war, but we were actively preparing for that eventuality. It was expected that if the United States entered the war, we would experience bombing of our cities and industries. As a result, the need for a bomb disposal program in this country received immediate attention. In April 1941, the School of Civilian Defense was organized at the Chemical Warfare School, Edgewood Arsenal, Maryland, and part of the training was to be bomb disposal. The Commandant of the Chemical Warfare School requested assistance from the War Department to set up the Bomb Disposal School. The request was approved and forwarded to General Julian S. Hatcher, who was the Commanding General of the Ordnance Training Center, Aberdeen Proving Ground, Maryland. General Hatcher selected Major Thomas J. Kane to provide assistance. It was decided that both military and civilian bomb disposal personnel would be trained by the Army. All responsibility for bomb disposal was placed under the US Army Ordnance Department. The location of the Bomb Disposal School was changed from Edgewood Arsenal to the Ordnance Training Center, Aberdeen Proving Ground, Maryland. In the interim the Navy, under a directive from the Chief of Naval Operations, instituted a Mine Disposal School in May of 1941. In December of 1941, the Chief of Naval Personnel issued another directive for the formation of the Navy Bomb Disposal School. EOD in the United States is a joint service program. Each branch of the service has specific responsibilities assigned to it by DOD. Some of these responsibilities are unique to one service and some overlap between two or more services. In 1947, the Navy was assigned Joint Service responsibility for basic EOD training. In 1971, the Navy was designated as the single manager for all common EOD training and technology. Today, training continues to be provided by the inter-service staff at the Explosive Ordnance Schools located at Eglin Air Force Base, Florida and the Naval Surface Warfare Center Division, Indian Head, Maryland. Successful officer and enlisted graduates are awarded the joint-service EOD badge which dates back to 1942. This badge is also officially recognized by local, state and federal law enforcement agencies. Reverse Mortgage loans give seniors the ability to live in their home, with no monthly mortgage payments¹, by converting home equity into cash while still maintaining ownership! A reverse mortgage loan allows you to turn some of the equity in your home into cash to improve your financial situation. With a reverse mortgage loan, you will remain on title and can stay in your home without making monthly mortgage payments during the loan period.¹ The borrower will be required to pay for property taxes, home insurance and home maintenance. The loan balance becomes due upon the occurrence of other events including non-compliance with the loan terms. Proceeds from a Reverse Mortgage loan are tax-free³. There are multiple ways to receive the loan proceeds, either as a line of credit, a term payment, a tenure payment or lump sum. Live in your home with no monthly mortgage payments¹ . Already a customer and need help? Contact us. ¹If you qualify and your loan is approved, a HECM Reverse Mortgage must pay off your existing mortgage(s). With a HECM Reverse Mortgage, no monthly mortgage payment is required. Borrowers are responsible for paying property taxes and homeowner’s insurance (which may be substantial). We do not establish an escrow account for disbursements of these payments. A set-aside account can be set up to pay taxes and insurance and may be required in some cases. Borrowers must also occupy home as primary residence and pay for ongoing maintenance; otherwise the loan becomes due and payable. The loan becomes due and payable when the last borrower, or eligible non-borrowing surviving spouse, dies, sells the home, permanently moves out, or defaults on taxes and insurance payments, or does not comply with loan terms. Call 1-239-936-4232 to learn more. A Reverse Mortgage increases the principal mortgage loan amount and decreases home equity (it is a negative amortization loan). These materials are not from HUD or FHA and were not approved by HUD or a government agency. ²Social Security benefits estimator available at www.ssa.gov/estimator. ³Loan proceeds are paid tax-free; consult your tax advisor.